When deciding whether or not to submit your website to a directory, put yourself in the shoes of your prospective customer. 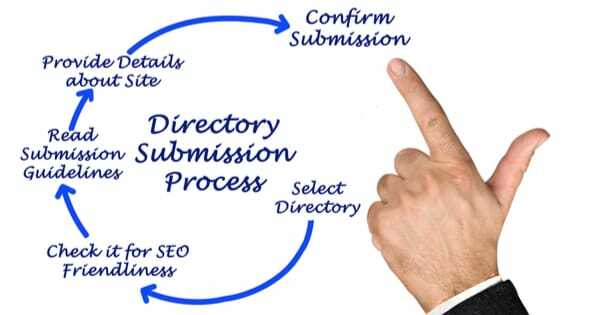 Directory submissions historically were used to get backlinks to your website and increase your search engine rankings. However, they no longer serve the same purpose. Some of them can actually hurt your rankings. And, if not used correctly, can cause more damage than good. Google’s algorithms today are complex and don’t see all links as equally valuable. Your backlink profile needs to be diverse with a focus on relevant and high authority sites. This doesn’t mean that directory submissions are no longer useful. It does mean that you should use them for the right reasons and choose the most trustworthy directories. Rather than thinking of directory submissions as only a source of links, use them as a means of developing trust for your brand and increasing traffic to your site. If you saw your link on a particular directory list, would you view your business as less or more legitimate? Additionally, is the site one that you might visit to get more information on the product or service you are considering purchasing? If your answer is “no” to one or both of these questions, it is probably not a valuable, reliable, or relevant directory, so don’t add your site. Website owners are not the only ones that know how Google has changed its algorithms regarding directory submissions. The owners of these directories know this too, and many have changed to include more information than just a link to attract more submissions. What you are trying to determine is if the site brings value to Internet users and whether it is relevant to your site. If not, don’t use it. For companies with a physical location, users do rely on searching authentic directories. Having your company name, address, and phone number listed on local directories does help with Local SEO. However, relying on local directories alone is not enough. Reviews and backlinks still play a significant role in improving SEO. Be sure that your listings are consistent. You also want to make sure that any local directory you are considering is up-to-date, active on social media, and still being managed. Below are several examples of online directories worth your time and effort to submit your site for inclusion. The most well-known and valuable local directory is Google My Business. Because Google is the largest search engine, listing your business on it will increase your search engine rankings. It will also increase the chances of your site being found when someone is searching for what you offer. Google is always updating and offering new tools to help businesses increase their online visibility. The Google My Business interface allows companies to control how their sites are displayed across all Google platforms. If you aren’t using Google My Business, you are losing out on a free opportunity to be found in search by those needing your products or services. Yelp is more than just an online local directory. It is also a place for customers to share their experience with your company. Make sure your products and services are up-to-date. Yelp is a platform where you can interact with those who leave reviews. You also want to monitor your listing in case you get a negative review so that you can respond professionally and promptly to help customers resolve their issue. MerchantCircle is an example of an online directory that goes way beyond just a business listing. They have expanded their offerings to remain relevant and valuable. Yes, it is true that Google gets most of the search traffic, but that doesn’t mean that other search engines should be ignored. Adding your business to Bing Places will help when customers are searching for your products or services on Bing. Keep in mind that Internet Explorer’s and Edge’s default search engine is Bing. Next in line for search engine popularity is Yahoo. There is a cost to be included in Yahoo’s directory, so it is considered a featured listing directory. Listing your business on the Better Business Bureau adds a level of trust to your customers. You do have to apply for accreditation, but its value is worth it. Launched in 2007, DIRJournal, is a favorite with SEOs because their listings include quality site profiles with deep links to inner pages. Unlike other local directories, DirJournal employs professional writers creating blog posts and how-to guides to provide more value to their visitors. Jasmine Directory stands apart from spammy directories because they use editorial discretion and even highlight sites hand-picked by editors. There are many less known but still valuable online directories you should consider using for your site submissions. If you are looking to be found online by your potential customers when they are searching, submit your URL. Don’t forget to use the suggestions above when evaluating the quality of submission sites. This content is sponsored by Hasan Saleem. Hasan Saleem is a seasoned web professional with experience in planning, launching, and operating successful Web-based ventures. Follow him on LinkedIn and Twitter!